Not unlike other Western countries, Finland has seen a decline of membership in mainline denominations along with a growth of unaffiliated people and religious diversification, Tuomas Martikainen (Migration Institute of Finland) reported at a conference on the religious and ethnic future of Europe in Turku on June 12–13, which RW attended. 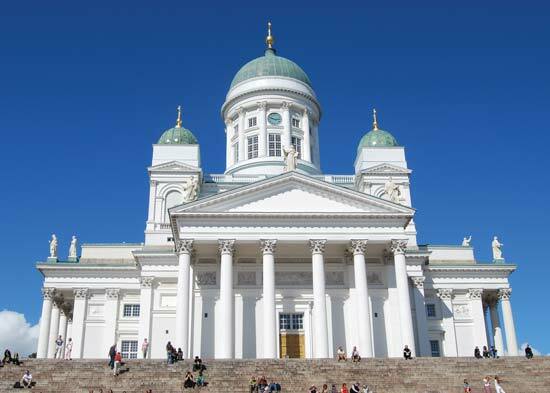 For historical reasons there are two national churches in Finland, the Lutheran Church and the Orthodox Church, but the second one only included 1.1 percent of the Finnish population in 2016. The Lutheran Church counted 95.1 percent in 1950, 85.1 percent in 2000, and 72 percent in 2016. Due to its still central and massive place, the future of religion in Finland remains very much linked to the future of the Lutheran Church. Other registered religious communities make only 1.6 percent of the total population, with the most numerous groups being the Evangelical Free Church (0.3 percent) and Muslims (0.26 percent), followed by the Catholic Church and Pentecostal churches. The rise of the non-affiliated has been rapid and most significant, reaching 25.3 percent of the population by 2016. Religion is not central for most people, Martikainen notes, with only 15 percent reporting religion to be important in their lives, but it remains appreciated as a cultural heritage. Besides numerical shifts, other developments worth noticing have taken place over the past 15 years. Internal diversity increases within historical churches. Facing secularization, the Lutheran Church increasingly sees itself as a voice for civil society on social and other issues. Moreover, cooperation among Christian denominations has also developed, with boundaries becoming less strong and denominational identities weakening. Martikainen considers an increase in religious diversity as the most likely scenario for Finland as a result of both immigration and interest for new ideas and groups within the native population. What is uncertain about the future is how many more members the Lutheran Church will lose, with the pace of disaffiliation having accelerated since the beginning of this century, and how much immigration might increase.